From August 26th to September 2nd, 2018, the companys general manager Mr. He Tao led the export staff to visit Russia and Denmark, participated in the Frankfurt (Moscow) International Auto Show, and visited the Bosch Service Aftermarket Business Unit (North Europe). From August 27th to 30th, the company participated in MIMS 2018, the international auto parts exhibition in Frankfurt (Moscow), and competed with global parts companies. The exhibits are auto and forklift parts and high-end forged aluminum alloy wheels, which attracts many customers to visit and review. Through this exhibition, we have also gained a good understanding of the current industry status of the auto after-sale market and the preferences of Russian local customers. 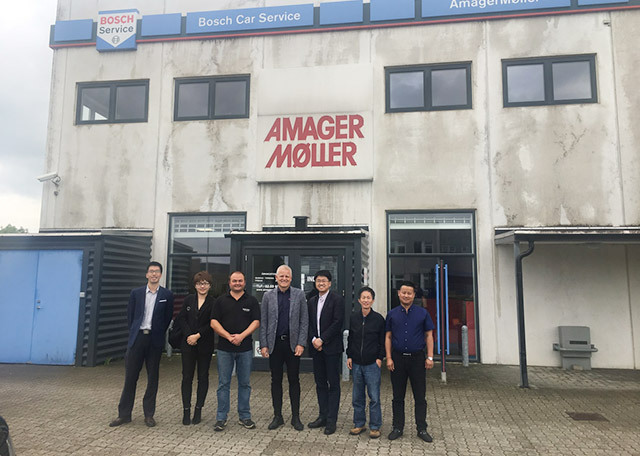 At the invitation of Mr. Rasmussen, Sales Director (North Europe) of Bosch Service Aftermarket Business Unit, our company visited the Bosch Auto Service Store on August 31st in Copenhagen, Denmark. Afterwards, the two parties gave detailed introductions and in-depth exchanges on each others company, and discussed possible cooperation areas and operational models. Although the visit of this time was relatively compact, the effect was significant and the harvest was high. 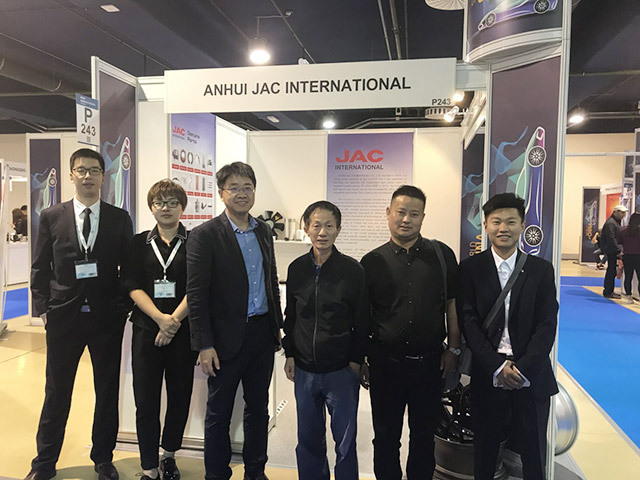 In the future, the company will continue to adhere to JAC groups concept of the brand upgrade, actively expand the high-end business field, innovative cooperation mode, and contribute to the development of the JAC group.